Welcome to the Academy of Performing Arts, Macarthur! Please provide your information below and click 'submit' when complete. Credit cards will NOT be charged at this time. All enrollments are considered pending until Annual Registration Fee is paid ($25 per child). Any discounts will be applied by the office only, along with any fees due. Choose a filter to begin viewing the available classes. 1. A parent/guardian must sign for those under 18 years of age. 2. By registering online I agree that the credit card information provided will be automatically used for the registration fee(s) and tuition for selected classes. This requires a credit card and an email address to be entered. 3. Charges will be posted to your credit card after your registration has been reviewed and discounts applied if applicable. 4. Payments can still be made by Bank Transfer, but credit card information is still required. Please ensure Bank Transfers are made 3 days before due to reflect on time payment. 5. All classes are to be paid for whether attended or not. 6. Registration is not considered complete and class space is not reserved until the Registration Fee and Term fees are paid. 8. All tuition for each term is due before or on the first day of the start of each term. 9.Tuition paid after this date will be considered late regardless if you have or have not been to class. There will be a $25.00 late fee applied after the first week . 10. No student will be permitted to attend class if tuition is more than 7 days past due. 11. There will be a $8.00 fee on rejected payments. 12. Tuition payments are non-refundable and non-transferable. 13.	Credit or refund will not be given for missed classes due to illness or personal commitments. You are welcome to make-up any class missed if the class has vacancies. Long term absence will be given consideration. Correct coloured uniform is required for ALL classes. There are no exceptions. Being dressed properly will enable the instructor to correct body placement. It also allows students to feel equally part of a group. Due to the nature of Dance instruction, some physical contact is needed. No chewing gum is allowed anywhere in the studio precinct. 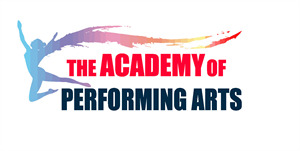 I authorise The Academy of Performing Arts to take and use any photographs, video recordings of my child for use in full or part of, for the purposes of advertising in media outlets such as website, FaceBook media or print form. NO children's names will be displayed at any time when used by staff of The Academy of Performing Arts in any media, in keeping with child safety concerns. If you do not agree to this, please email the office to be placed on a register. As the legal parent or guardian, I give permission for The Academy of Performing Arts to seek medical treatment for the student in the event they are not able to reach a parent or guardian. I hereby declare any physical/mental problems, restrictions, or conditions and/or declare the participant to be in good physical and mental health. There will be Junior & Senior concerts usually held in November/December. Students usually only participate in one of these. Due to the number of classes/students we cannot guarantee that siblings will be dancing in the same show. The Academy of Performing Arts has not been allocated Junior or Senior Concert dates for 2018. Concert Dates and other information will be posted on the Studio, Parents Portal and the web page when the information is available.